Roberto Luongo | Professional Use Only, No Warranty. We have a couple photos of what will be available on Saturday morning. More stock brought out on Sunday but there doesn’t seem to be as much gear compared to previous years to begin with. 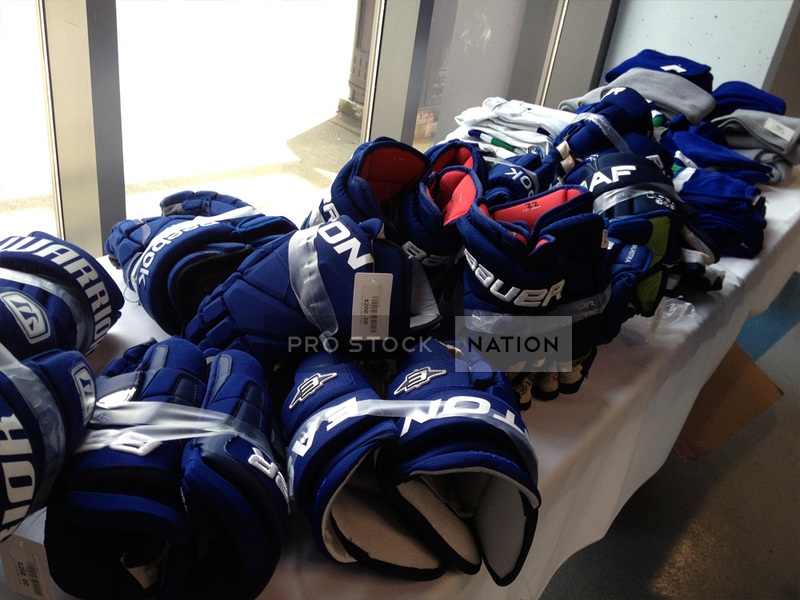 This looks more like an apparel sale with some equipment involved. 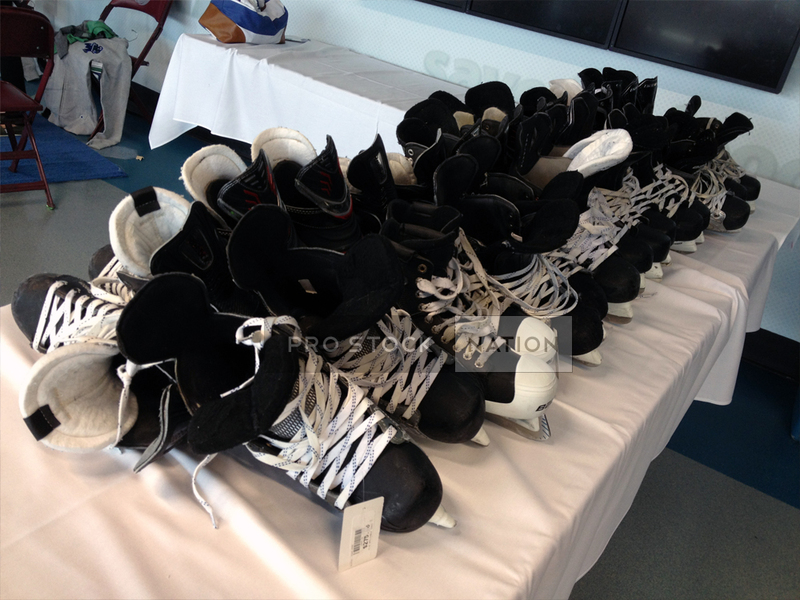 You’ll find two tables with skates priced at $275 right when you walk in. 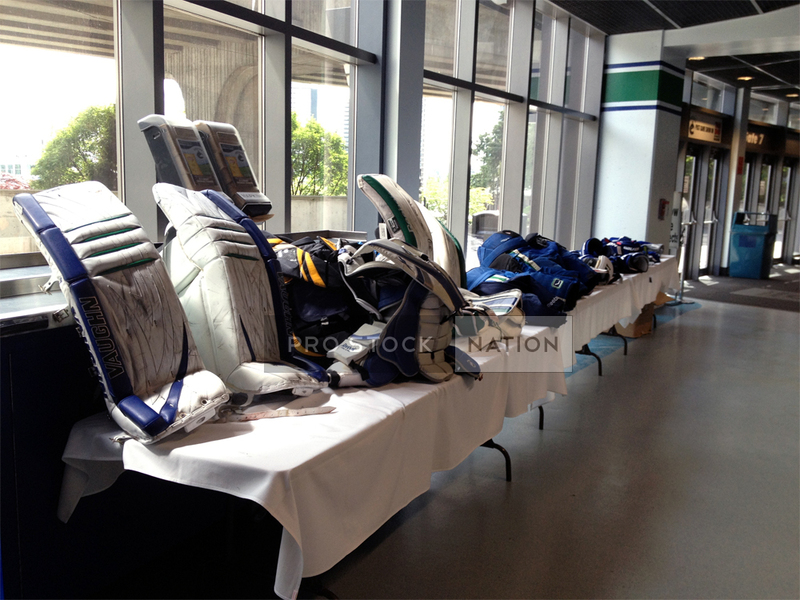 Goalie equipment worn by Roberto Luongo and Cory Schneider will also be for sale. There’s only two stick racks this year. 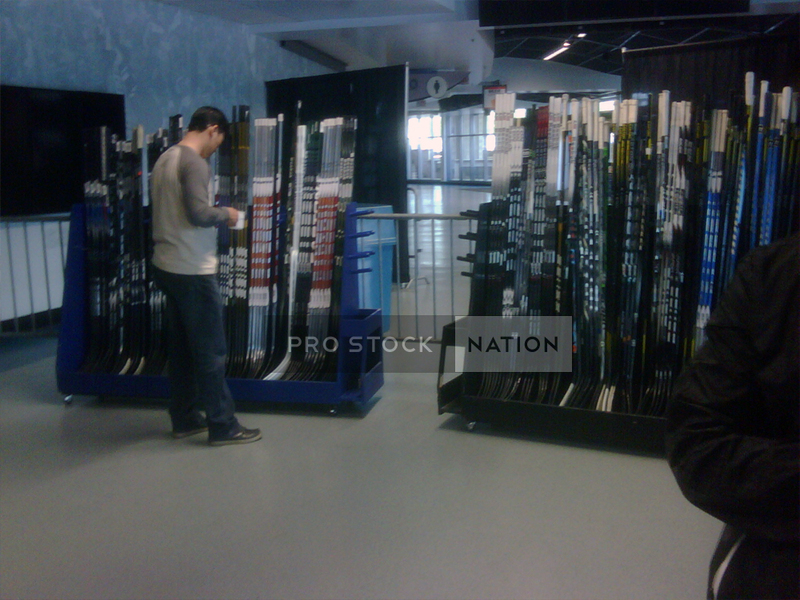 The staff will be bringing out more items throughout the sale and the sticks range from $49-$210. Game worn jerseys will also be available starting at $300. Like I mentioned earlier this seems more like an apparel sale than anything. 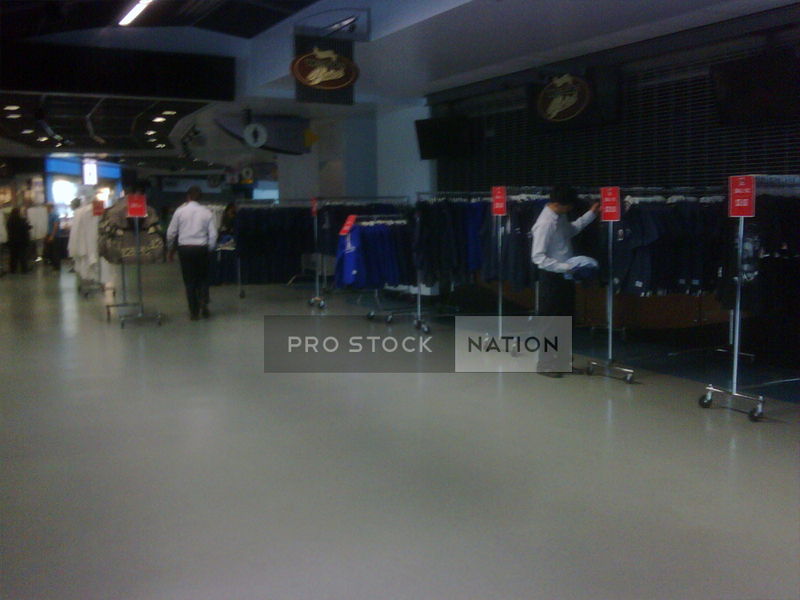 Don’t expect it to rival any dedicated Canucks equipment sales you’ve been to in the past. Be sure to share all of your purchases with us. Happy gear hunting.